Throughout 2014, the Foundation has continued to extend its support to nearly 2,000 underprivileged children. In 2006, several months after its launch, the Foundation started supporting a few hundred elementary school students in four countries. Over the years, its support has grown to assisting about 2,000 students annually. 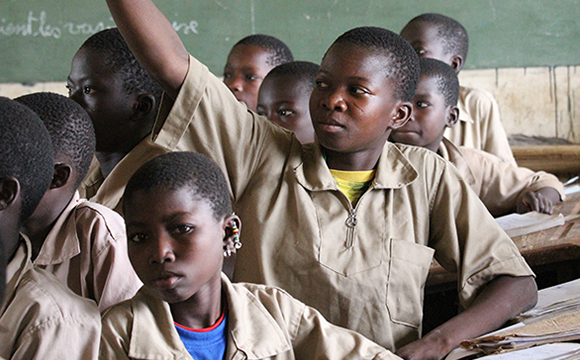 Since 2006, we have reached 3,500 students and have donated over 13,200 school years. Our programs have impacted over 70,000 indirect beneficiaries including the families of beneficiaries, school staff, and the village communities that benefit from village development and school infrastructure projects. Our mission is to improve the living conditions of children in the poorest communities and where there is the greatest need. We believe that it is important to focus on given geographical regions to empower communities for lasting sustainable development and effectively lift them out of poverty. As per our Village Model approach, our intention is to ensure village communities access to education, health, and sources of livelihood so that within a decade they are able to sustain themselves and support their children’s education. For every community we work with, we first address issues concerning barriers to education and health of children and subsequently work with local communities for village development. 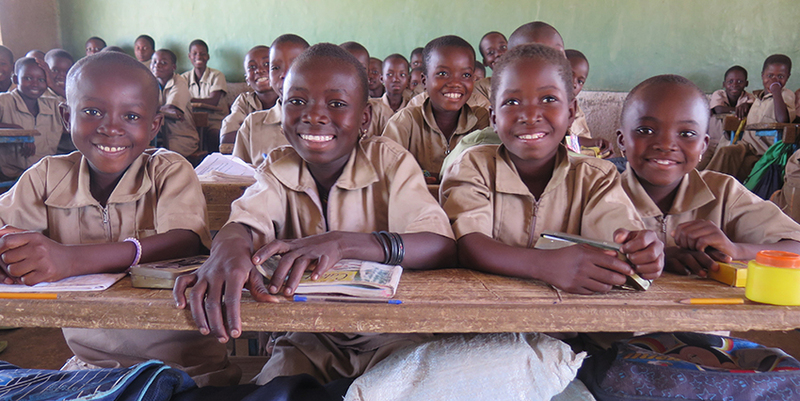 The Scholarship Programs provide school age children with what they need to succeed in school: transport to school, school supplies, uniforms, basic nutrition provided in school, basic health care through yearly medical check ups, and dormitory fees if their schools are far away from their homes. Scholarship support also includes teacher compensations and teacher training where needed to improve the quality of education. We also build and improve school infrastructure complete with sanitation facilities, kitchen and canteens. We then ensure that the community has access to clean water and work with villagers to implement income generating agriculture programs. Education is more than schooling, it is crucial for poverty alleviation, to protect and empower children, and to help prevent the risks of exploitation and trafficking, and to reduce gender inequality. These beliefs have guided us in our strategy that is aimed at empowering communities to help themselves and their future generations for long-term impact. We have partnered with experienced and successful NGOs to reach out to as many children in need as possible, while keeping our overhead costs at a minimum. We have leveraged on the expertise of local grassroots NGOs in Burkina Faso, Morocco and Cambodia with whom we share a vision and holistic approach to supporting children and their communities, providing not only education but also health, nutrition, social/psychological and community development. Working closely with our partners, through our network of volunteers, we regularly audit both Scholarship Programs and Infrastructure Projects through our volunteer network and are actively involved in every stage of projects from definition, to implementation and assessment. Our volunteers meet with all stakeholders, including beneficiaries, school staff, families of beneficiaries, and track progress of children through children’s files and records that are updated regularly. 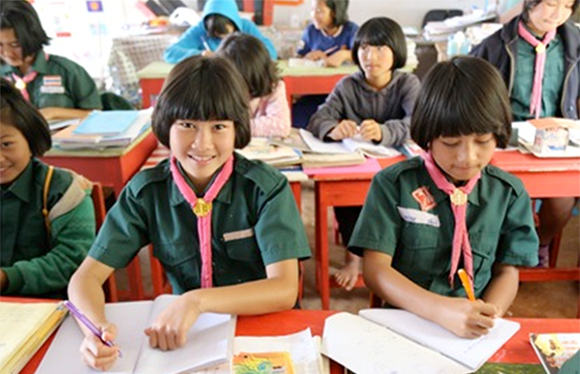 For our flagship Chiang Rai Village Project, 2014 has been an important year of transition. 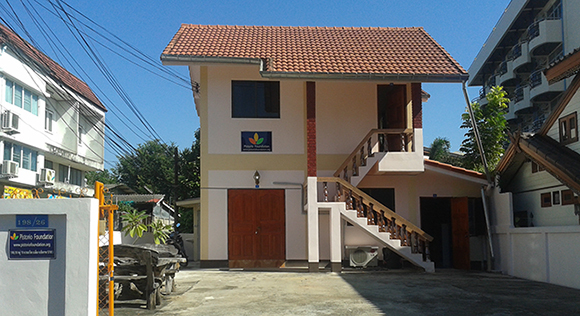 We have set up our own offices and staff in Chiang Rai, led by our country manager Giovanni Santavicca. 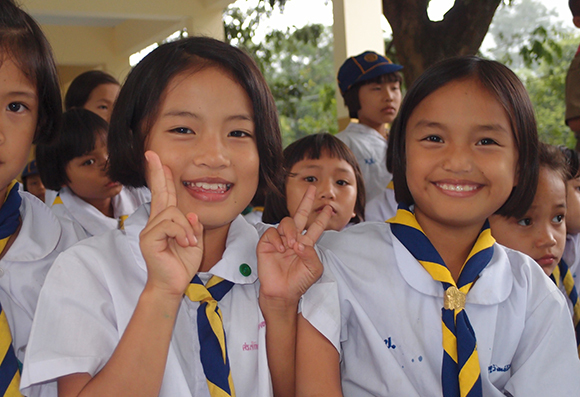 In Chiang Rai, we have completed over 30 infrastructure projects, served over 16 village communities and reached over 2,000 hill-tribe minority children since 2006. Over the past ten years, the villages we have served have developed rapidly. Today, our staff is positioned to scale and replicate the village model approach to more villages that are still in extreme poverty in Northern Thailand. We measure the progress of our Scholarship Programs through key performance indicators that include the number of students who complete professional school, student pass rate, student retention rate, pupil/teacher ratio, rate of absences of teachers, and overall scores of children compared to national average. There is also a continuous dialogue with school staff, teachers, beneficiaries, and families to assess the progress of students and quality of education. 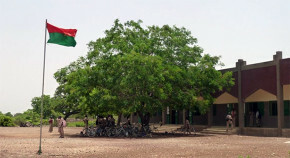 The Secondary School in Burkina built by the Foundation in 2013, which now holds over 700 students, is regarded as the best secondary school in western Burkina. Our Official Non Formal Education Project for street children in Morocco is considered the best of its kind in the country. 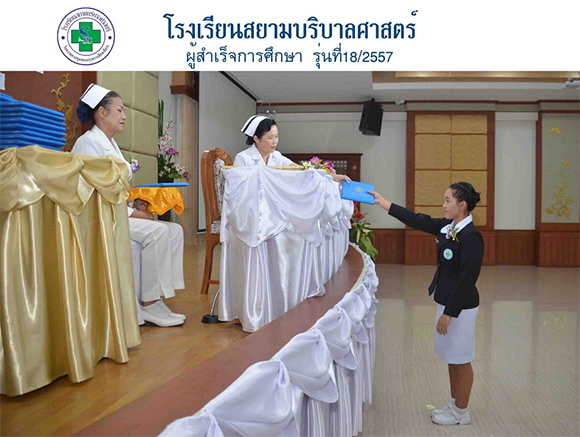 In Thailand, some of our students have won national and regional awards, and one of our village schools has hosted this year the Princess Maha Chakri Sirindhorn. In Cambodia, our partner NGO’s school has become a model for the government, and is being replicated in 6 provinces throughout the country. 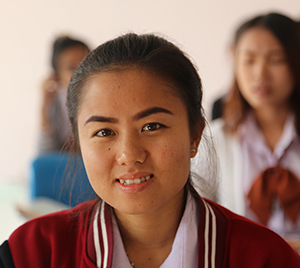 In 2014, 84 students successfully obtained a Professional School Degree (18 in Cambodia, 59 in Thailand, 7 in Morocco), which allows them to compete on the job market for fairly paid and respectable jobs. To date, 335 students have completed professional school (78 in Cambodia, 240 in Thailand, and 17 in Morocco). The students who have graduated will be earning every year more than 155 CHF, several times more than their parents. They will be earning an aggregate income of over 50,000 CHF per year. Most of the former students who have started working are helping to support their families and younger siblings. The returns to society and the economy are therefore enormous when children and families are lifted out of poverty (not to mention the savings and prevention in health costs and costs tied to social unrest and exploitation due to poverty). In Thailand, with only 300SGD per year, a minority hill tribe child can receive access to education, nutrition, and health care. The investment in scholarships for underprivileged children can have the best return on investment one could ever wish for. The Foundation’s results have been achieved with minimal, close to zero administration costs. Marketing, fundraising, and administration functions have been managed and run entirely by volunteers. With an average Foundation budget of 500,000 CHF per year in the past years, 100% have been channeled to projects on location. Our yearly administration fees have not exceeded 3% of our budget on average and have been absorbed by Board Members. For every 1$ donation, 1$ has gone directly to fund scholarship and infrastructure projects benefitting children in need. Our donors’ contributions are a direct line to our beneficiaries, allowing for maximum efficiency for every dollar donated, directly empowering underprivileged children and giving them back their inalienable right to education and hence to life. True to our motto, “On the way to school, on the way to life”, we believe that empowering children through education and local communities through sustainable development are the solutions to poverty. 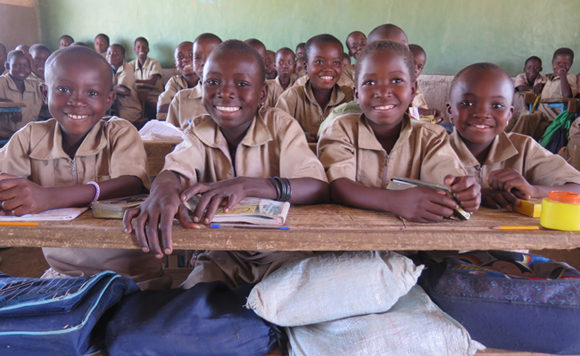 Since 2006, the Foundation has supported the education of 119 underprivileged students from the region of Boulkiemdè, providing also basic health care and nutrition, micronutrients, vitamin supplements, anti parasite medication, soap, and hygiene training. 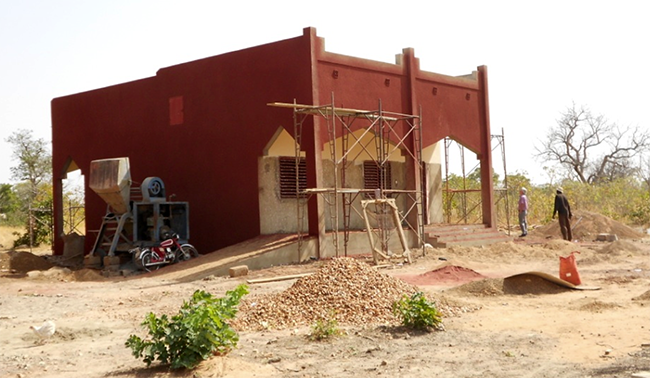 The Foundation expanded a primary school in 2007, adding sanitation facilities, canteen, kitchen, and extra classrooms, doubling its capacity, and subsequently built a Secondary School in the nearby village of Sogpelcè which now holds over 700 students. Nibagdo primary school. The girl in the foreground is sounding the school bell. Students receive a yearly medical check up at the school premises. Each child is screened for hearing, eyesight, general health conditions, and dental health. A health record for every child is maintained. Once a year they are given one round of iron and folic acid supplements. Mandatory vaccinations and visits for illnesses during the year outside the school medical check ups are done at the nearby Health Centre, which is a few kilometers away. 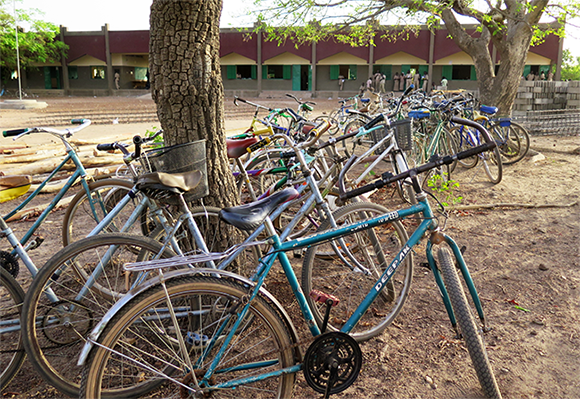 For serious illnesses or surgery, the students are referred to the nearest hospital, which is 80 kilometers away. Our sponsorship also helps fund a micro credit program to provide income generating opportunities to families of beneficiaries, which include preparation and sale of meals, eggs, sprouted millet, cereals, corn flour, and hand woven handicrafts, among others. An agricultural program in 8 villages for the cultivation of beans and sesame has proven very successful. Families have increased their income and are motivated to continue to earn enough funds to support their own children in school. Primary school children lining up for lunch at the school kitchen. In 2014, the Foundation funded the expansion of the Secondary school and the electric and water system. 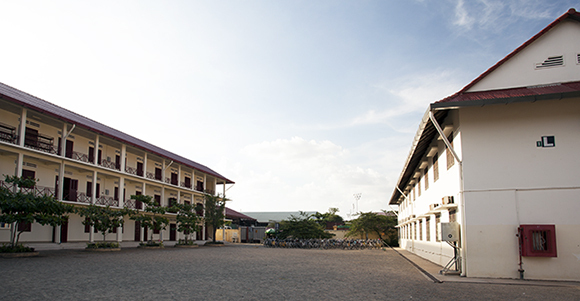 The secondary school comprises now 10 classrooms, administration offices, library, reading room, and director’s lodging. 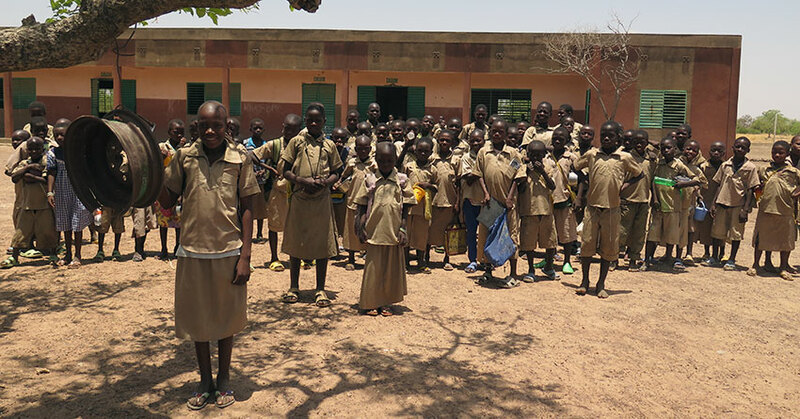 Our secondary school is considered the best in western Burkina for the quality of its teaching staff, low pupil/teacher ration (53 compared to 60 nationwide) and students’ results. One secondary school student, Nikiema Poulomde, came in first in the Province and 19th nationwide. Similarly, our primary school has also had excellent outcomes. This year, one primary school student came in 1st in the district in terms of end of year results. We would like to thank our volunteers Francesca Ferrari and Paolo Bertolani who travelled to Burkina to meet with stakeholders, visiting the schools we support, health posts and hospitals, and homes of beneficiaries, interviewing students, their parents, teachers, school staff, and school doctors, and documenting the progress of the project. Nadège is in Primary 5. Like all children in the village, she does not have breakfast in the morning and reaches school by 7 am. She will have lunch at the school. Nadège lives 10 minutes away from the school in a typical rural village. 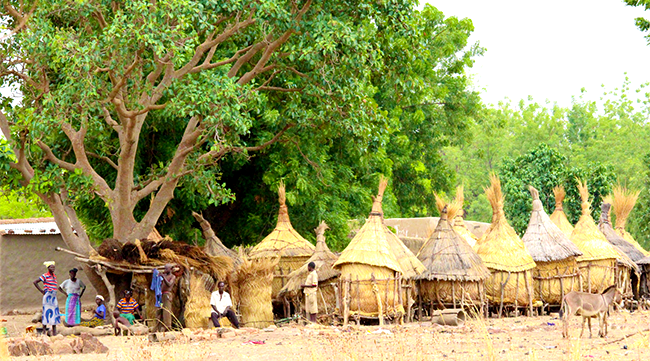 The homes are made of clay with hay and laminated roofs and metal sheets in lieu of doors. There is no electricity or running water in the homes. 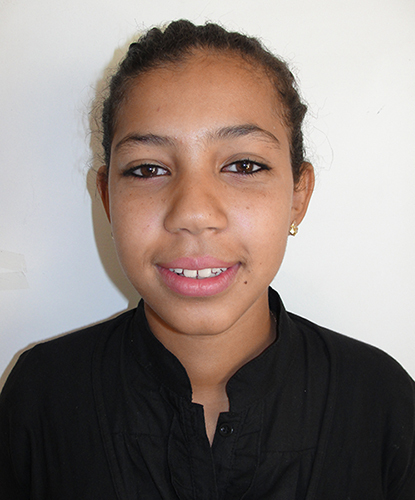 Nadège lives with her parents and four siblings, three of whom are enrolled in school. During the day, the mother prepares dolo (a local beer made from millet and contained in pumpkins), which she sells at the nearby market. Nadège and her family members sleep on mats on the floor that are rolled up during the day and lean against the wall. Their clothes hang on a wire that crosses a corner of the room from wall to wall. Bibata is in Primary 5 at Nibagdo School. She is 13 years old. The Moroccan Ministry of Education created the Non Formal education program to target particularly vulnerable groups of the population and specifically school dropouts and street children. The Foundation has partnered with Azrou Center for Community Development to roll out this program in the region of Azrou where drop out rates are particularly elevated. The program is devised to cover two years of the main school subjects in one year, so that children can catch up the schooling they have missed. The aim is to reinsert them in the public school system upon completion of the program. The program also includes extracurricular activities, such as field trips, drama and arts classes. 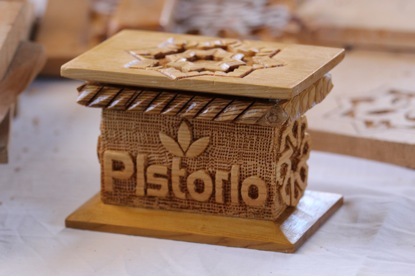 The children also receive vocational training classes in woodcarving, tailoring, IT, and hairdressing. 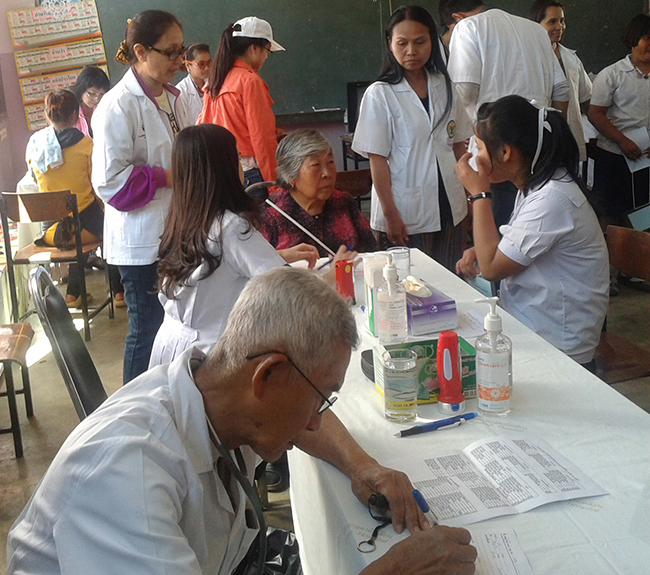 Students receive one meal in school and medical assistance through yearly check ups that include eyesight and dental screening. Throughout the year, students are instructed in workshops on dental care and basic hygiene, and on subjects such as nutrition, environmental protection, healthy lifestyle habits, children’s rights, and issues of drug use, aids, and violence. Scholarships cover the costs of teacher salaries, meals in school, backpacks, school supplies, cooking staff, trainers, field trips, sports activities and cultural events, and general running costs of the program. Some mothers of beneficiaries receive literacy, numeracy and vocational training classes (sewing, embroidery, weaving) at the center to help improve their income generating capabilities. All mothers of our beneficiaries can have access to health screenings at the Azrou Center and receive family planning counseling during the year. Social workers regularly visit families to discuss progress of beneficiaries and encourage parents to cooperate in sending their children to school. This year, the Foundation inaugurated the new building for the Non Formal Education program in the presence of the Moroccan Minister of Education, Foundation Director Elena Pistorio, Azrou Center Director Malika Benbella, and volunteer Foundation Country Manager Mohamed Lasry. In his speech, the Minister of Education applauded the Centre as the best rolled out Non Formal Education program in the region, in virtue of the excellent results and high quality of teaching. We are very proud of the results and of the success of our students. 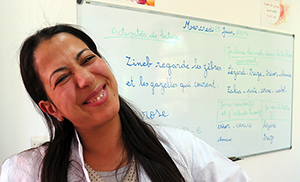 After leaving school in 2009, Ayoub joined the ENF Program. Ayoub successfully completed the 2-year curriculum and followed a vocational training program in electricity. 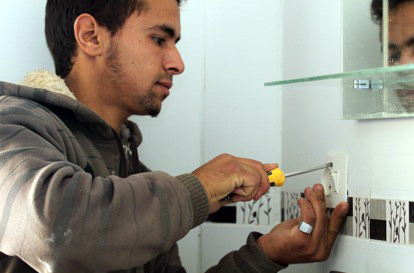 After an internship in a local company, Ayoub is now working as an employee of a small business. “My name is Hasna and I’m a professor at the centre since 2011. I teach the three levels of French and IT taught at the school. 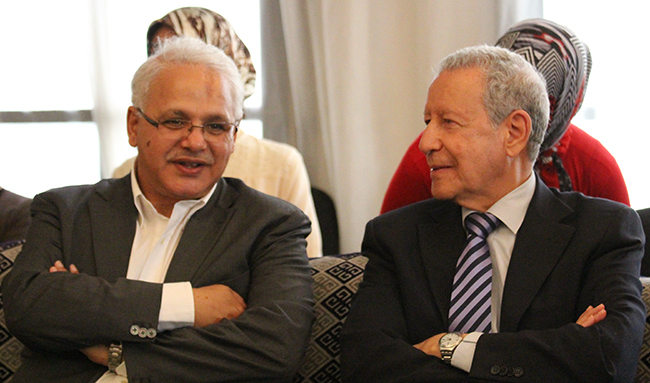 The Program follows the Ministry of National Education curriculum. In addition, students receive lessons in Arabic, math, and science, and are exposed to a number of extracurricular activities throughout the ear to encourage them to pursue the program, build self-confidence, and to fight against the incidence of school drop out. The students have demonstrated serious commitment, and have passed the Primary School Exam organized annually by the Ministry. 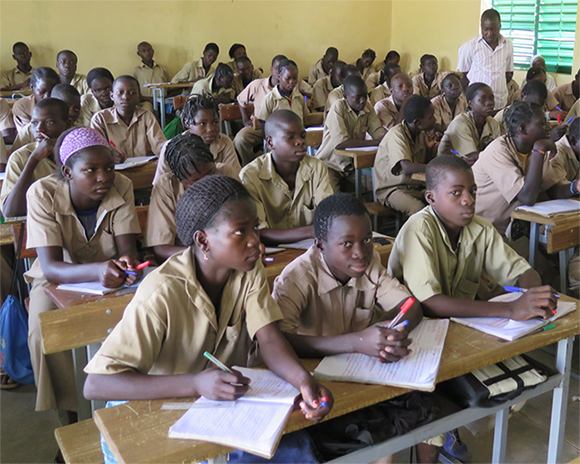 Students are also oriented towards a Vocational Training Program of their choice: electricity, wood and aluminum carpentry, sewing, and hairdressing and beauty. Here is a video of the program in 2014, created by our beneficiaries. We would like to thank volunteer auditor Francesca Ferrari for the audit missions in Morocco and for the documentations and photos realized. Students reintegrated in Public School System in 2014: 14 (3 in primary, 1 in secondary; 10 in Public Professional School High Institute for Applied Technologies). The Chiang Rai Village Project was born out of the need to improve the enrolment rate of hill-tribe minority groups living in the mountainous regions of northern Thailand. The project grew rapidly as with less than 200 CHF per year we were able to send a child to school for one year, usually the barriers to education being the cost of uniforms, school supplies, and transport to school for extremely poor families. Within five years we reached over 1,800 beneficiaries. At the same time, we were working to help villages improve their families’ income generating possibilities through agricultural programs. 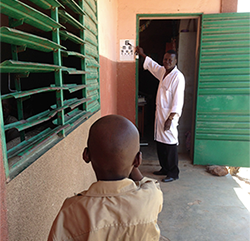 The improvement of health and hygiene thanks to school infrastructures with sanitation facilities, and educating children on hygiene and access to medical assistance, helped significantly improve living conditions. Another positive factor was that in many villages the government, following the set up of school infrastructure by the Foundation, has helped improve the roads connecting the villages to main roads, or connecting the village to the nearest schools. In 2013, encouraged by the positive results and rapid development of the villages we have been working with since 2006, we decided to step up our efforts by setting up our own Foundation Offices in Chiang Rai with our own dedicated staff. 2014 has been a year of transition to this new presence and launch of registration process of the Foundation in Thailand, led by Country Manager, Giovanni Santavicca. As a number of villages we have been supporting since 2006 have made significant leaps in development and 90% of their households are now self-sustainable, we have begun gradually decreasing our scholarship support and implementing our exit strategy from these villages. We will be working with government authorities to identify new villages in need to replicate the village model as of 2015. In addition, in recent years, the government support to disadvantaged hill-tribes has increased. This has allowed us to further cut back on our support, particularly in primary school education, and we have discontinued support to families who no longer need assistance thanks to government support. We provide scholarship support on a case by case basis depending on the needs. Scholarship support includes school fees, school supplies, uniforms, meals in school, salary supplementation, teacher training, and medical assistance. We also supply soap, toothbrushes, and towels to children. Our ultimate goal is to support villages for a span of 10 years, making sure at first that all school aged children are enrolled and attending quality schools and subsequently assisting the village families to reach self-sustainability through agriculture and income generation projects. During the year, the Foundation has distributed 1175 uniforms, performed over 1,000 medical visits to villagers through the Mobile Clinic Program, supported 3 teacher salaries in remote schools, provided transport to school to 480 children, covered dormitory fees for 226 students, and provided meals to over 600 students. 59 students successfully completed Professional School in 2014, in fields including Nursing, Mechanics, Electronics, IT, Tourism, Agriculture, and Accounting. One of the highlights of the year was the visit of Princess Maha Chakri Sirindhorn in February to one of the villages on the border with Laos, where we have built a Primary School, Kindergarten, Dormitory, Teacher Accomodations, and Kitchen and Canteen. Foundation Director Elena Pistorio and Country Manager Thailand Giovanni Santavicca greeted the Princess at the school. The event was televised the same day on all national Thai TV channels. A very positive outcome of the visit was the commitment of the local government to build the road connecting Huay Kuk village to the main road on the bottom of the hill. The road was built during this year, and it is estimated that villagers’ incomes have improved by 10% thanks to the new road. The project represented an investment of 20M Thai Baht on the part of the government. Another decision was to build a Health Post in Huay Kuk Village. The Foundation will be a partner for this project that will be completed in 2015. Other highlights of the year came from some of our students’ outstanding achievements. 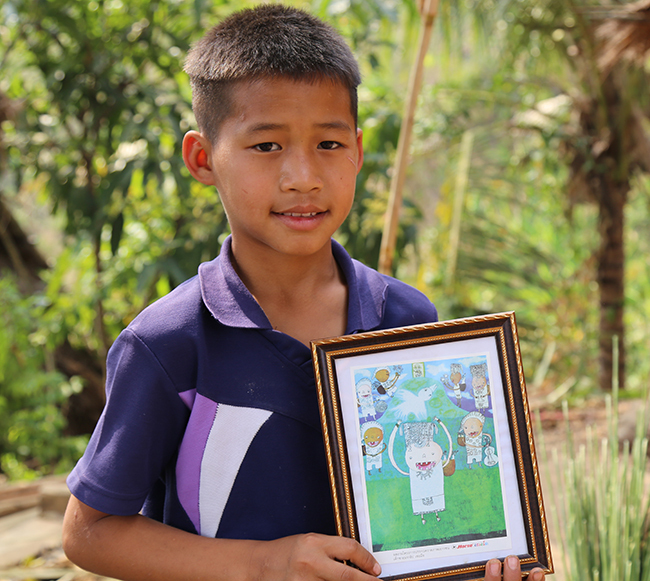 Nary, a ten-year old primary school student won first prize in an international Art Competition and was handed the award by Princess Maha Chakri Sirindhorn. Volunteer Francesca Ferrari created a video documenting Nary’s success that is available on our website here. Another student who excelled is Arisa, enrolled at VBAC Professional School. Arisa won a National competition in Accounting, winning first place both in 2013 and in 2014! Congratulations to our bright and dedicated students! Arisa originally comes from Myanmar and settled in an Akha village in Chiang Rai with her brother and his family. She strived to find the way to get a better education. She finally succeeded in fulfilling her dream by studying Accounting in Professional School after completing secondary school. While studying, she took part in regional and national competitions in accounting received an award for a gold medal in 2013 and in 2014. “I believe the key to my success in the future is my education because with education I can be the master of my own life and goals. 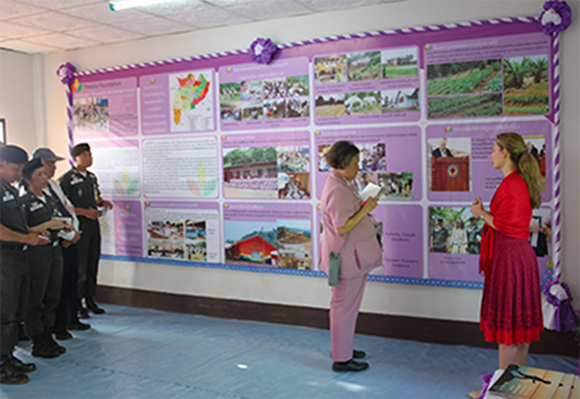 2014 Highlights: Princess Maha Chakri Sirindhorn visited one of the Foundation Primary Schools in Huay Kuk village. Arisa, a Professional School student won first prize in a national Accounting competition. The Pistorio Foundation partnered with Pour un Sourire d’Enfant (PSE) in 2006 and extended its support to 133 underprivileged children since then. The children come from broken families in extremely precarious socio economic conditions. They were out of school and working in the streets as beggars, scavengers, street vendors, or on constructions sites. At PSE, children are enrolled in the “Catch up School” which allows them to due two years of education in one, and therefore complete their entire schooling in half the time. The center also is home to many Professional Schools offering skills in Tailoring, Baking and Pastry Making, Gardening, Housekeeping, Child minding, Hair Styling and Spa, Plumbing, F&B, Masonry, and Cooking, Business Studies, and Mechanics among others.These schools have been set up and run by PSE. 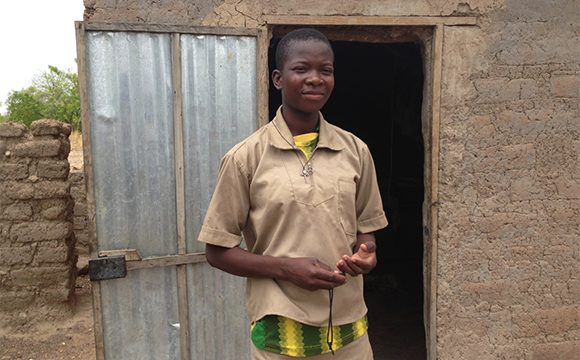 To date, 78 of the students we supported have completed Professional School, and most of them are working. 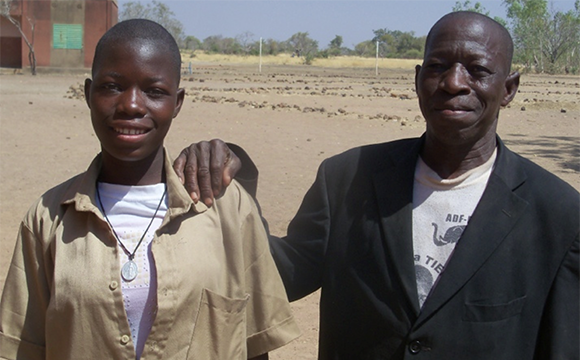 These alumni now earn at least three times more than their parents and are able to assist their families and siblings with additional income. 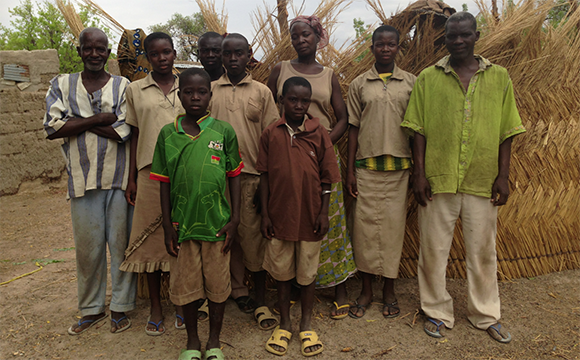 Most importantly, they have broken their families’ intergenerational cycle of poverty. They also serve as role models to the younger generation and incentivize parents to send their school age children to school. The scholarship includes uniforms, backpacks, school supplies, toiletries, breakfast and lunch in school, teacher salaries, rice ratio compensation to families so that they do not force their children to work, social workers salaries, and medical assistance. Beneficiaries receive training in hygiene on a daily basis. 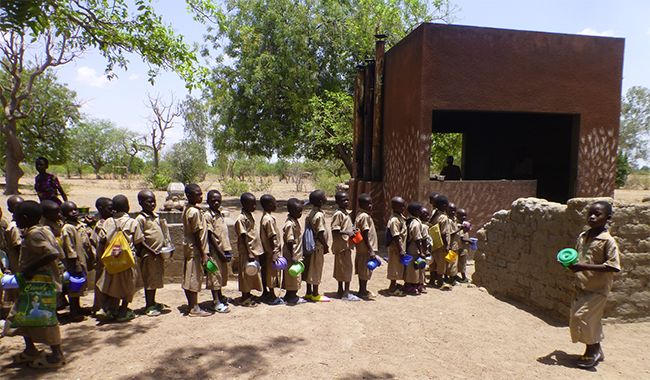 They are able to wash in the morning at the center, and during the year they also receive life skills training. Parents of beneficiaries also receive vocational training in cooking, sewing, and cleaning to help improve their livelihoods. We would like to thank volunteers Marzena Hugues and Beata Piechura for their volunteer work, for meeting with stakeholders and beneficiaries and documenting the progress of our beneficiaries in Phnom Penh. Sreytouch is 19 years old and studies at the school of Business, in the Retail Sales specialty. We have been supporting her scholarship since 2006 when her father passed away and her mother, with a drinking addiction, was unable maintain the family. Sreytouch’s mother died in 2010 and she now lives with her brothers and sisters. Five of her family members, siblings and nieces and nephews, also attend PSE. Two of her sisters work in the factory to help support the rest of the family and one older sister is a babysitter. Each sister earns about 50$ a month. Sreytouch lives with her sister, brother in law and their 5 children. Her dream is to open a clothing and perfume store. 2014 Highlights: The Catch Up Program is being rolled out by PSE with the government support nationwide starting with five provinces. The Foundation made an exceptional donation of 20,000 USD to the victims of the Haiyan Typhoon in the Philippines. The donation for relief support was made to the NECO (National Ethnic Coalition Organization) and American Red Cross Appeal, President and Founder Pasquale Pistorio being a NECO Ellis Island Medal of Honor recipient. The Singapore Chapter raised 48,480 SGD in 2014 thanks to two major events: the re:mix “Strings of Hope” FWA Charity Concert and the Palais Dance Studio 25th Anniversary Concert. 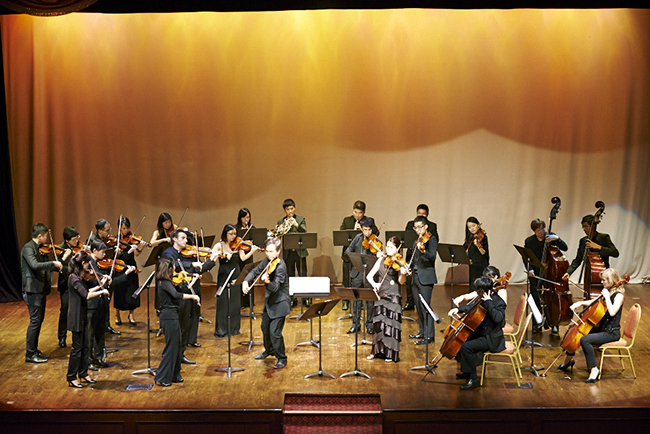 Charity Concert and the Palais Dance Studio 25th Anniversary Concert. We would like to extend our sincere thanks to FWA for partnering for the second consecutive year with the Pistorio Foundation in Singapore to raise funds for the Chiang Rai Village Project. Likewise we would like to thank re:mix, the talented celebrated ensemble of 26 musicians who performed pro bono for our cause. 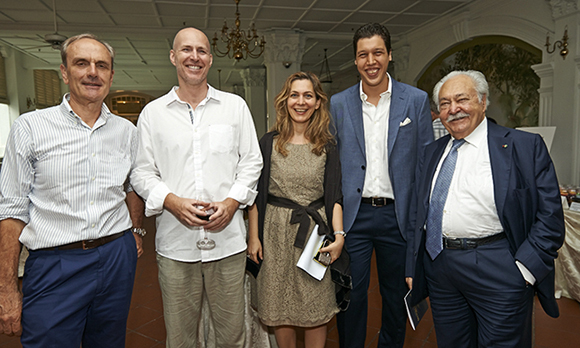 The event was set in the magnificent Jubilee Hall of the Raffles Hotel and attended by over 200 guests and hosted by CNBC’s Deirdre Wang Morris. Over 30,000 SGD were raised in this occasion. We would like to acknowledge our sponsors: UBP, ACT Empowerment Coaching, ING, Alfero Gelato, Autium, Autocotonous Wines, Eric Yip Photography, Harper’s Bazaar and Harper’s Bazaar Junior, Mieko Pottery, Rosso Prezioso, Systems Sovereign, Style Tribute, The Candy Society, and The Cocoa Trees. These efforts would not be possible without the precious support of all our dedicated volunteers. Ms. Eng Ai Tan and Ms. Teo Ching Ching, Directors of Palais Dance Studio, prepared a spectacular show celebrating the Studio’s 25th Anniversary, “The Silver Tribute”. The talented ballerinas who performed in the Concert enchanted the audience. Palais Dance Studio generously donated all proceeds, over 20,000 SGD, from the event to the Pistorio Foundation to benefit the Chiang Rai Village Project. We are deeply grateful for their generosity! In August, Intel staff in Singapore organized a Walk at MacRitchie Reservoir in Memory of Uday Marty, respected and admired Intel Vice President who tragically passed away on Mount Rainier in Washington during a mountain climbing expedition. 5000 SGD were raised that will be used to equip a computer lab for hill-tribe students in Chiang Rai. Special thanks also to Yen Nee Goh, Takashi Tokunaga and Peggy Khoo for organizing and coordinating the event. Special mention also goes to our long time supporter Zuri Kumarly who in 2014 donated all the proceeds from one of her weekly Zumba classes to the Pistorio Foundation. 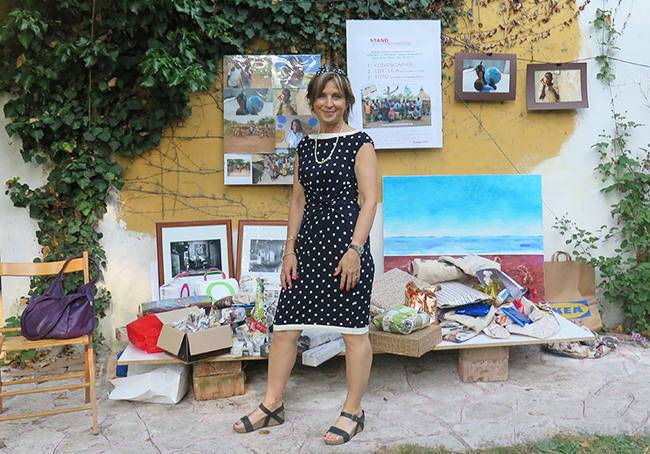 There have been during the year several fundraising initiatives led by supporters in different parts of Italy. We would like to thank every organizer and all participants for their generosity and support! 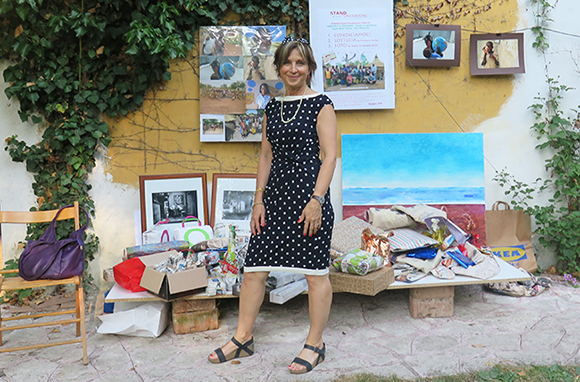 Two events held in Modena included a Lottery graciously hosted by Silvia Reggiani and co-organized by Francesca Ferrari, which raised 425 Euro and a Tango evening also co-organized by Francesca Ferrari and the Dance company T’aMOtango. In November, a “Tango Evening” organized by Francesca Ferrari, T’aMOtango, Circolo Gardel, Malajunta, and Simona Mondini, featuring DJ Morris and DJ Ser, and performers Guillermo “El Pegue” Barrionuevo and Mariela Sametband raised over 250 Euros. 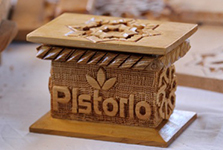 Since 2009, every year Mariagrazia Maraffa organizes and promotes singlehandedly a Pistorio Foundation fundraising in Ostuni and devolves one day of her Spa “Istituto Privilege” business revenues to the Foundation. We are very grateful to Mariagrazia’s committed efforts over the years. Many thanks to Maria Cristina Crocione and Bruno Proto who raised 788 Euros amongst the continuing education students of Trento, the “Universita’ della Terza Eta’”. We would like to thank Nicalu’ for offering 20% of its proceeds from the sale of Organic Olive Oil in the months of December 2014 and January 2015. We sincerely hope that these examples serve as inspiration to supporters around the world who want to help further our cause. No matter how small, every donation is important to the children we support and 100% of it will directly fund children’s scholarships. The Pistorio Foundation was featured in the July Issue of Millionaire Asia, “Breaking the Poverty Trap”.